If you love Strawberries, How about some “Singberry”? 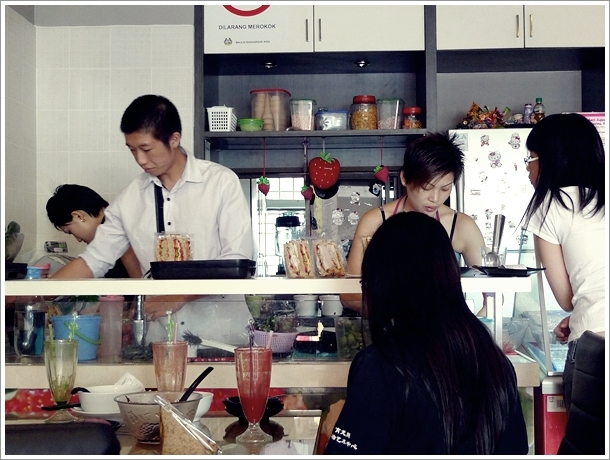 And this comfortable cafe that seats a crowd of 20 at most, in Ipoh Garden South has been around since November 2009. Talk about being right there in front of my eyes (read the Jalan Datoh’s upmarket Wanton Noodle post), yet I have circled this area countless times in search of new eateries. Only to leave disappointed when they stopped at two. Relatively new outlets back then; Nam Chau (my personal favourite place for dry curry mee in Ipoh) opened a branch next to Jalan Datoh’s Noodle Stall. 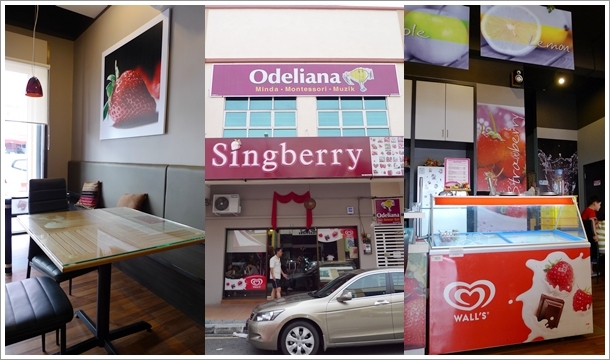 Maybe I have mistakenly thought Singberry was some music school (ironically, Odeliana upstairs is a montessori) or a boutique; since there are countless ones around the vicinity of Ipoh Garden South. Okay, so what makes Singberry SPECIAL, and they were actually the pioneer cafe specializing in strawberry beverages (and to some extent; desserts), way before Strawberry Moment was launched at De Garden? 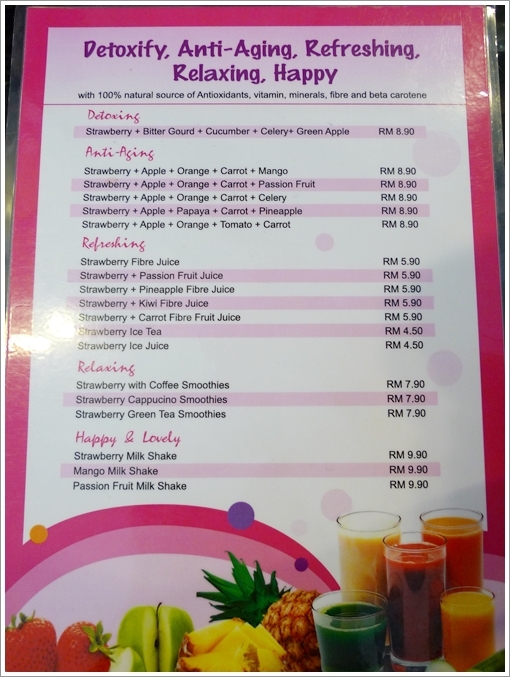 Singberry @ Ipoh Garden South – So now you know where to go for really fresh, plump and juicy strawberries from Cameron Highlands; at RM34 per kg. Thanks to random whispers in the wind …… I discovered Singberry. Full on the thought that the place is a new cafe amidst the barrage of new eateries in Ipoh, I entered in a half-hearted manner. Low expectations; maybe at the prospect of seeing a never ending menu with fusion cheese-baked creations and fried pasta, and some strawberry desserts to justify the fame. Strawberry Milkshake (RM9.90/USD3.20) sounds lovely and tagged with a dauntingly premier price, but damn the shake was one of the BEST i have had in ages! See the menu and either you balk at the sight of all those scarily healthy drinks, or like Motormouth here … your eyes darted straight to the milk shakes section! 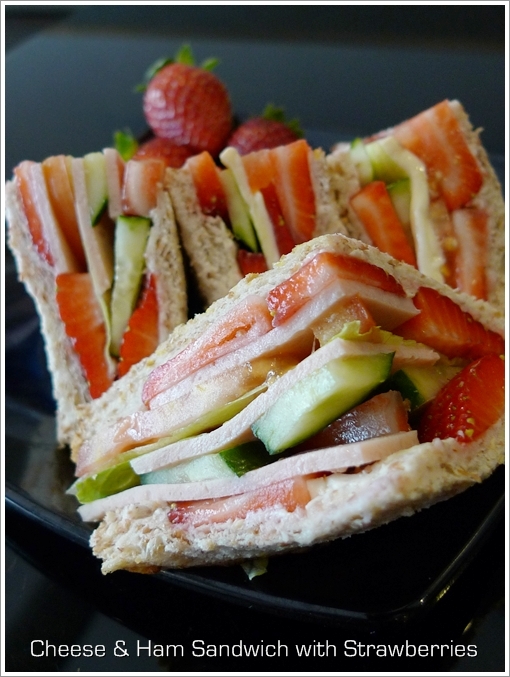 Various sandwiches with a mix of strawberries, cucumber and choice of ham/cheese, or egg. How about the FOOD then? Only finger food available at the premise; Strawberry sandwiches, Fresh strawberries with dressings or without, homemade curry puffs and chicken pie, as well as cakes at the display counter in front of the shop. What if you crave for a full course meal, or something more substantial? You CAN order from two restaurants on the outside. Yes, you can slurp on Jalan Datoh’s wanton mee from across the street, or you can have various rice or noodle dishes from Haw Ting Delicious at the other corner of the row with Nam Chau and Jalan Datoh Noodle Stall. No extra charges applicable. The bowl of fresh strawberries went for RM13.90 for a large serving of halved strawberries, drizzled with syrup and interestingly topped with bits of preserved dried fruits; aka “Mo Far Kor”. 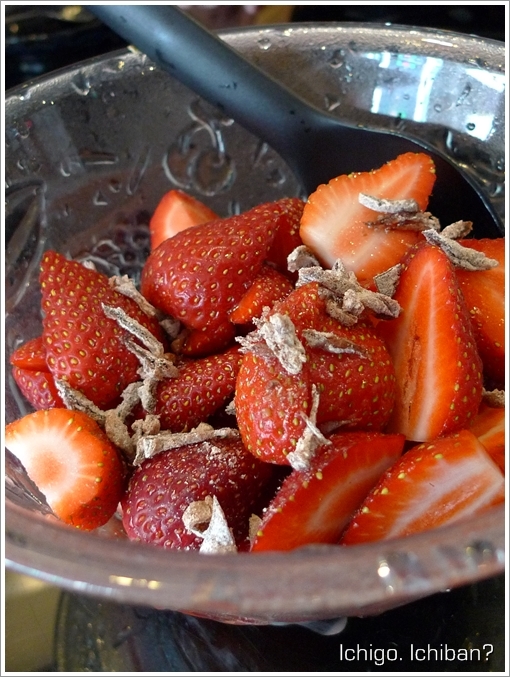 A clever mix of sweet and savoury (the dried peels), you can opt to have your strawberries with a salad dressing, or served without any fancy dressing if desired. 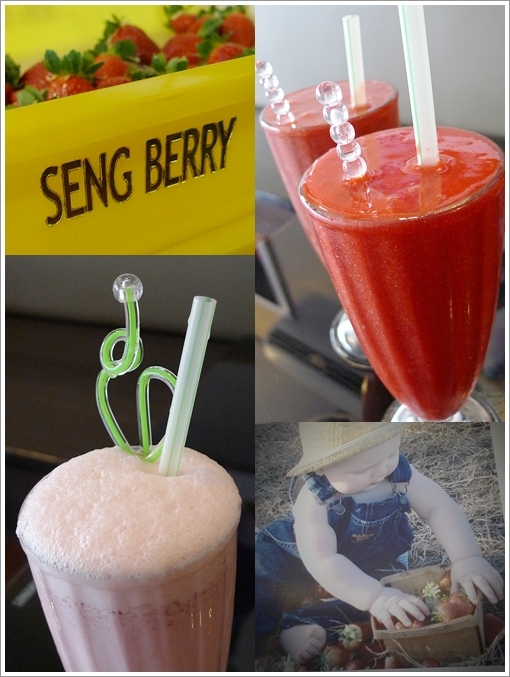 The drinks are clearly their forte at Singberry (the name derived from their farm in Tringkap, Cameron Highlands named Seng Berry). The refreshing blend of strawberries, beet root and lemon (not in the menu) appeared in a blood red form, yet the zesty nuance from the squeezed lemon offset the sometimes overwhelming taste of the beet root. The freshly-plucked strawberries are carted almost daily from their farm in Tringkap, Cameron Highlands. And they pride on their plump, red, sweet and juicy strawberries. So much so that when the price of RM34/kg tag was uttered, and we seemed hesitant; the girl was quick to give us a reassuring smile and brought us to the counter for a look at their beautiful produce. And yes, unlike the usually sour, small and too-commercialized strawberries in Cameron Highlands (since the better ones are exported, or sold in hypermarkets I was told) the ones at Singberry did scream for our attention and maybe an uncontrollable urge to pick one and put into the mouth. On the spot. *Now, for that leap of faith for Motormouth ; A Detoxifying tonic of Strawberry+Celery+Bitter Gourd and the foulest of greens. Any takers? I think we drove past this when WMW, Jackson, Precious Pea and Teckiee finally made the trip to Ipoh early this year. Detoxifying tonic of Strawberry+Celery+Bitter Gourd? Bring it on! Ha? Then why didn’t you tell me leh … we could have gone for a trial run way back then. Sounds like a good place for healthier yum cha aside for mamak stalls and Old Town White Coffee! Hehe. the chicken pie looks very familiar. they are outsourced right or are they made by Singberry? I am not sure LiLian …. but if I remember correctly, they were saying about homemade chicken pies and curry puffs. MAYBE … from someone’s home? i know the lady who made this chicken pie (if this is from her) coz her chicken pie is not the same like the norms, the chicken meat is minced with carrots and other veges then baked with some poppy seeds on top. the lady also do cakes, curry puff, kuih, sandwiches but need to order first coz her business is quite good. Oh I see. Then maybe you can share the lady’s details so the others can benefit from her delicious creations? add: No.5, Regat Kangsar 3, Taman Fu Onn, 30010 Ipoh, Perak. Apparently she is famous for her nyonya kuih, cakes and chicken pie. 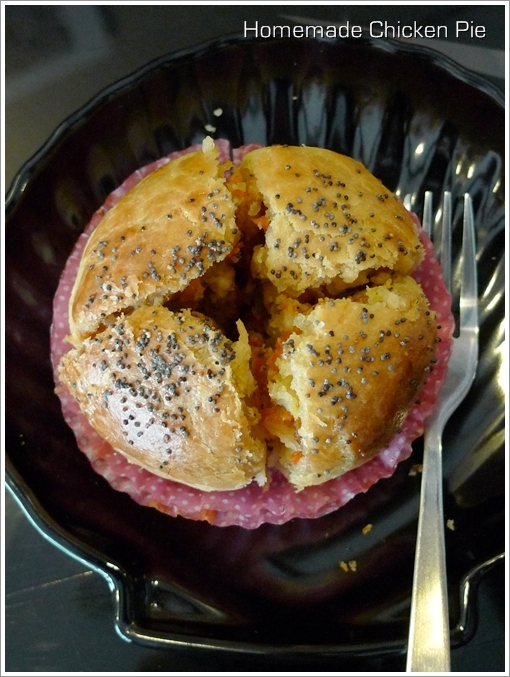 it’s delicious but pricing will be higher, maybe due to the ingredients she used and also it’s home made. sometimes if she is too busy to do delivery then you have to collect the goodies yourself. Oh thanks LiLian. There are in fact several baked from home options when it comes to homemade confectioneries and cakes. welcome…just add another to ur homemade list then. Salad I think they prepare on the spot. Not so sure, but the bowl of strawberries with dried mandarin peel and the juices were surely prepared freshly. I’m so curious what a strawberry sandwich tastes like…. You taste the ham, the cheese and the greens. The strawberries provided a slightly zesty taste to the ensemble. load on the cholesterol and go for detox!! is this HALAL? i want to bring my islam friend there…. This cafe is NOT halal, but not serving pork. Although customers can order the rice and noodle dishes from other non-halal outlets from over the street. Of course, you can purchase the strawberries back home for consumption. Or if you don’t mind just have the beverages there instead. Yes. Definitely some of the better ones, as I myself have never tasted any good strawberries in Cameron Highlands myself. Maybe not as sweet as say …. those from overseas, but palatable. @@ that’s another luxury one, strawberry in sandwiches!!! Strawberry Moment is my favorite place. If I’m in Ipoh, I will visit this too. Really? That’s good. Maybe expansion to various outlets elsewhere would be on their plans. I really surprise when I saw giant strawberries when my last visit to CH on Sep 2010. I remember they used to be very small. I wonder will the strawberry resulted the sandwich to be too moist? Nope. Far from it, as the combination sounds awkward on paper, but tastewise the fruits, greens and ham/cheese sandwich came together beautifully. most strawberries grown in Cameron are sourish. Cheese, ham & strawberry? Quite a weird combination, no? Strawberry in sandwich? woo interesting. Not halal, but pork free i guess ? im tired of mcd’s milkshake selection. Thanks fr the recomendation. I had it yesterday my trip to Ipoh. Is yummy.. but the sandwiches sold out d :(. I really quite like this place as they have the freshest strawberries in Ipoh….. My favourite items : fresh strawberries (the lady boss taught us how to choose the sweetest strawberries) and frozen berries (good for a home-made ice blended with yoghurt) and their thick berry juice (also blended with only frozen berries, which is thick and concentrated)…..their service is always slow and a bit messy…. but you will have to bear with it…. well this place does not open at the stated time which is 10.30am u think is worth going there? Really? Maybe they were closed? If you love fresh strawberries from Cameron Highlands, served either with salads, lightly drizzled with honey or blended into drinks, then yes. What i can say is their service is BAD!!! Operation hours stated is 1030am but then went there at 1145am, it still closed. Finally got the number and called the PIC, then only they said will open “soon”. After opened the shop, they are telling you that the strawberry not reach yet due to they closed on Monday and the strawberry will just only pluck on Tuesday morning and have to wait the lorry come all the way from cameron highlands. And they said the lorry will reach in 30 mins. OK, that’s fine, since already wasting time waiting them to open the shop, think of just wait for another 30mins. But, after waited for 1hour, the lorry still not reach and some more telling you that they are stuck somewhere else still. WTF!!! They have been operated for somewhile, this is not the 1st day that they open their shop after a close on Monday. That is ridiculous to tell you that they have no idea when the lorry will reach and just keep the customer waiting there. If you are not able to operate on the time that stated, please just change it. What is the service that you have to let customer go there wait for more than 1 hour but end up get nothing??? Your time is precious and so am I!!! Please stop FOOL your customers who really love strawberry!!! Recently I went to Singberry again but the drink is not as good as last time. They gave us a bit of overdue strawberry. The drink was smelly. They didnt make it like they used to.